Back in September, Arrival and Blade Runner 2049 director Denis Villeneuve revealed that he wanted a shot at making a brand new Dune movie. Now it seems like he’s going to get his chance. Variety reports that Villeneuve is in talks with Legendary Pictures to helm the studios’ upcoming reboot of the Dune film and television franchise. Legendary announced just before Thanksgiving that it had acquired the rights to Frank Herbert’s classic Dune science fiction novels for both film and television adaptation from the Frank Herbert estate. The new Dune projects are being produced by Thomas Tull, Mary Parent, and Cale Boyter, and executive produced by Brian Herbert, Byron Merritt, and Kim Herbert. The extent to which Legendary is seeking Villeneuve's involvement in the Dune franchise is unclear. So far, they seem only to be discussing the first Dune movie in the fresh cinematic universe. Whether Villeneuve will stick around for sequels or be involved in any television projects is unknown. Villeneuve is a name on the rise. Arrival was critically acclaimed and is now in consideration for an Academy Award. 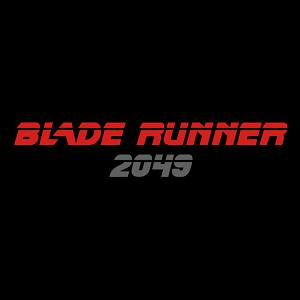 Blade Runner 2049 will be Villeneuve's first major franchise film, in which he will be directing Ryan Gosling and Harrison Ford. Dune was previously adapted into a major motion picture in 1984 by director David Lynch, who cast his Twin Peaks star Kyle MacLachlan in the lead role. The novel was later adapted into a television miniseries in 2000. Dune is set in the distant future. The primary character is Paul Atreides, a member of a noble house that takes control of the planet Arrakis. Arrakis is highly contested among his society’s major families because it is the only planet that produces “the spice,” or Melange. Melange can extend a person’s life and is used in space travel, making it easily the most value resource in the universe. Paul’s family is betrayed and he is forced to navigate a web of intrigue, politics, and religion on par with Game of Thrones order to reclaim what was lost. He eventually comes to lead a rebellion in an attempt to take back Arrakis for his family.